Do you think the following scenario sounds alarming? A group of 80 explicitly peaceful people walking 400 km to the sea to pick up some salt on the beach. You probably come to the same conclusion as the British Viceroy in India: “It does not keep me awake at night.”, said Lord Irwin in 1930. Maybe he should have been worried. Gandhi’s Salt March led to unrest across India and was important step towards self-determination for India and an end to British rule. The independence of India and Pakistan in August 1947 was the end of a long struggle to end 200 years of British administration in India. One of the milestones was the 1930 declaration of independence by the Indian National Congress, the most influential political party. The party decided that a protest campaign should follow the declaration and selected Mahatma Gandhi to lead the campaign. Gandhi was committed to his concept of non-violent resistance that he called Satyagraha. He had successfully employed it in his protest campaigns for civil rights of Indian citizens in South Africa from 1906 and in India itself since 1917. The 1930 campaign should be the most successful so far. Looking for a topic for the campaign, Gandhi chose the salt taxation of the British administration. In India’s hot climate, salt was of everyday importance. Everyone had to use it regardless of class and wealth. The British administration had a long history of salt taxation in India. In 1882 it added a Government monopoly on production raising prices and making local production illegal. In 1923, the salt tax was doubled again. The high price for salt in India made the important mineral unavailable to the lower classes and led to malnutrition. When Gandhi chose salt taxation for his campaign in 1930, there was a general feeling of injustice towards the taxes. It was a topic everyone could relate to. 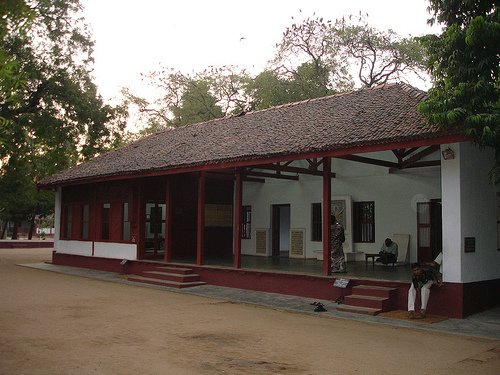 Gandhi had planned to walk from his home in the Sabarmati Ashram to a small village on the Indian Ocean. There were salt flats in Dandi, where Gandhi planned to pick up some salt; symbolically and illegally. He informed the British authorities about his plans by a letter to the Viceroy Lord Irwin. Gandhi offered him to stop the march in return for concessions. The administration seemed to have failed to see the potential of protests against the salt tax and refused to make concessions. The route of Gandhi’s salt march covered some 390 km and was carefully planned. Press statements were issued before the start and journalists covered the event extensively. International journalists from Europe and America joined the march and there was daily coverage in major international magazines. 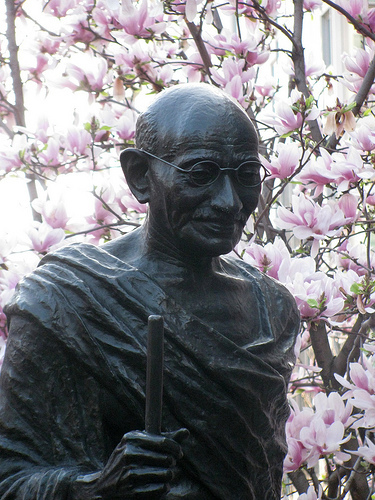 Gandhi’s 78 fellow walkers for the march were trained in his principles of Satyagraha. It was crucial to him that there was no violence in the protest. The villages on the route were scouted by Gandhi’s group so he could focus his speeches on current issues of each village. He did not only address the salt laws but also social injustice like the situation of untouchables in the Indian society. Advance planning and the strategy to make salt taxation the topic of the protests paid off. More and more people wanted to join him on his march. When he arrived in Dandi on 05.April, 50,000 people were there to watch him act against the salt law. British authorities tried to remove all salt from the salt flats at Dandi but there was enough left for Gandhi to pick up. He was arrested a month later on 05. May together with tens of thousands of people who violated the salt law. But the protests continued without him. Gandhi’s salt march was a success. The protests only stopped, when Gandhi was released from prison in 1931. He then was invited to talks with the Viceroy on equal terms and traveled to London for round table discussions for constitutional reforms in India. British authorities saw that they could no longer rule without some form of participation of the people of India. It took another 16 years though for India to reach independence, for which Gandhi’s salt march still is a lasting symbol. Then sign up for our free email newsletter to get all our new posts right to your inbox.